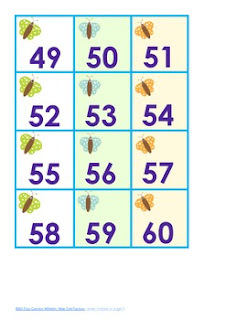 These numbers may be used in a pocket chart by the teacher, or on a table for students to arrange as a center. Different amount of objects could be counted and matched with corresponding numbers. Many available charts only go to 100, so these numbers could also be used to extend charts. Color coded for counting by threes to scaffold this process for first graders.